A wonderful two bedroom villa which has its very own secluded private beach with sunbeds and umbrellas, exclusive to the villa and a select few other neighbouring villas. A wonderful two bedroom villa which has its very own secluded private beach with sunbeds and umbrellas, exclusive to the villa and a select few other neighbouring villas. 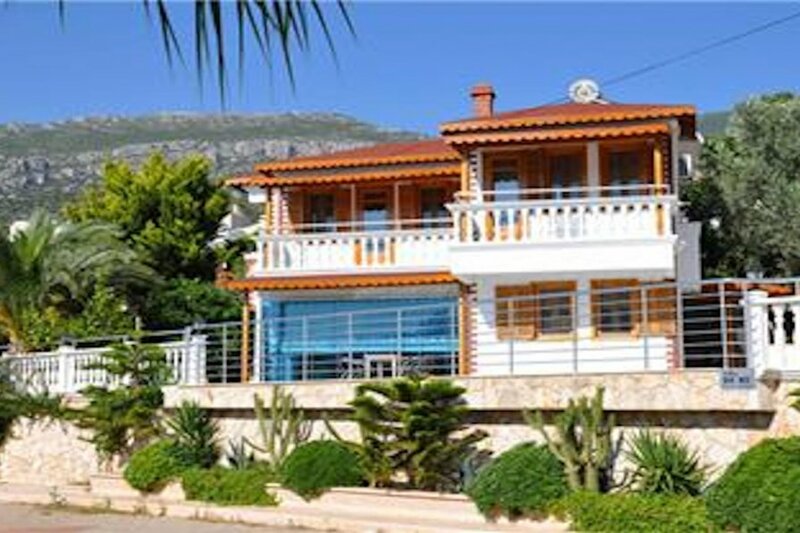 You can also use the facilities of the neighbouring Kalkan Beach Club which is also where the water taxi will ferry you across the bay to the centre of Kalkan. Villa Kisla Beach Petit is a recently renovated, stylish two bedroom villa with fabulous panoramic sea views and just 50 metres from the shoreline with nothing but a few plants and shrubs in front of the villa before the drop down to the waters edge. You really couldn't ask for a more perfect location. The villa, as well as having all modern facilities including modern kitchen with dishwasher and washing machine, has plenty of outside space for four people, plus sunloungers, table and chairs for al-fresco dining, and its own private pool which is a sun trap to ensure you can soak up those endless sunny days in Kalkan. The villa also has full air-conditioning and free WiFi. The Villa has amazing panoramic sea views and together with its beautiful large swimming pool you will never want to leave! The pool is surrounded by a spacious patio area, equipped with sun-loungers and plenty of sun-shades. It is beautifully decorated and furnished throughout and extremely well equipped, to ensure that you can relax and enjoy your time in Kalkan in comfort!